Mobile locksmith services are very much in demand across all cities in the USA. There are times when you require the services of a locksmith on an urgent basis, such as when you’ve been locked out of a car or a home. Mobile locksmiths are on the call 24/7 and arrive at your location within 30 to 45 minutes of your call, on their specially equipped locksmith vans. Calling mobile locksmiths saves both time and money and is the perfect solution to your urgent crisis. In a lockout situation, you will feel less anxious if there is a mobile locksmith’s number on your speed dial. There’s no reason anymore to wait for hours for a locksmith to arrive at your location. You can now get help from a mobile locksmith within minutes of the lockout. Here are some reasons why you might want to call a mobile locksmith company. Reason #1: Mobile locksmiths offer rekeying and lock repair services. They operate out of mobile service vans and travel from one location to another. 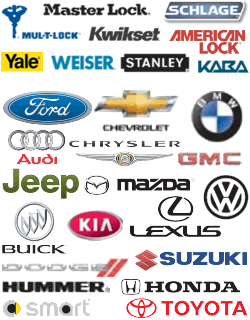 They are available to you 24/7, unlike lock repair service centers that operate within a fixed time frame. So even if you were to have a lockout situation or some other issue in the middle of the night or in the early hours of the morning, you can depend on mobile locksmith to arrive at your doorstep and solve the problem, whatever it is. Reason #2: Mobile locksmiths are fully equipped with the latest gadgets and have all the locksmith tools that they need to solve your problem. They start work on the damaged lock almost instantly after a quick inspection. There are generally teams of mobile locksmiths that work together, so if there are additional equipments needed, they can have them delivered in no time at all. With mobile locksmith services, you can expect a quick and effective solution to every lock and key related problem. Reason #3: These locksmiths are experts in their field and know their job very well. They are capable of working with complex and sophisticated locks and home security systems. They are capable of helping you out and figuring out an appropriate solution, whether you’ve left your house keys inside your home and locked yourself out or forgot your car keys in the car. Reason #4: Just as mobile locksmiths are capable of dealing with a lockout situation, they are also very good at repairing or replacing a broken lock. They offer rekeying services on the spot. They inspire confidence and can be relied upon in your time of distress. Nobody likes to be locked out of their own house or car, but when that happens, you will need to get help immediately. Mobile locksmiths arrive at your location with a single phone call in their well equipped locksmith vans. They are capable of resolving any emergency lockout situation calmly and efficiently. Austin Locksmiths have been providing mobile locksmith services in Austin area since 2010. You can trust us to handle any residential, commercial or car lockout scenario. We offer rekeying services as well and offer consultations on home security systems. You can call us anytime, any day at 737-222-7022, we will be sure to arrive at your location in no time at all. The Importance of Mobile Locksmith Services https://austinlocksmiths.com/importance-mobile-locksmith-services/ 4.0/5 based upon 25 reviews.